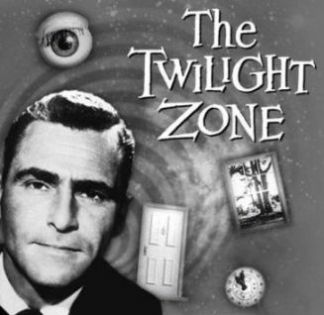 For fans of the vintage series The Twilight Zone, there are talks of making another full-length movie based on the famous Rod Serling series. Warner Brothers and Appian Way (Leonardo Di Caprio’s production company) are now looking to make a movie based on one of the stories featured in the series. Unlike the first movie made on the series, they want one that features only one story instead of 2 or three episodes. The original series was still in black and white and started before 1960. However, it’s amazing how even the original versions could be compelling even to those who weren’t even born at the time they were first shown. I believe the series not only aroused interests but actually cultivated creativity with the unique and unpredictable stories. The end of every episode will keep you thinking about the possibilities. My kids have never seen The Twilight Zone. Now, I wonder if they will appreciate it the way our generation did. Life and imagination is so much more different now. I’m certain if the new movie version will be made, it will be adapted to the current trends. The original concept of the episodes are timeless. Yet, the storytelling can be improved to show additional twists and plots together with astounding special effects that can make the movie even more compelling and imaginative. Again, I take my hats off to one of the geniuses that have so graciously contributed to the magic of entertainment whose work has definitely been an inspiration to the imagination of the new generation, Mr. Rod Serling.